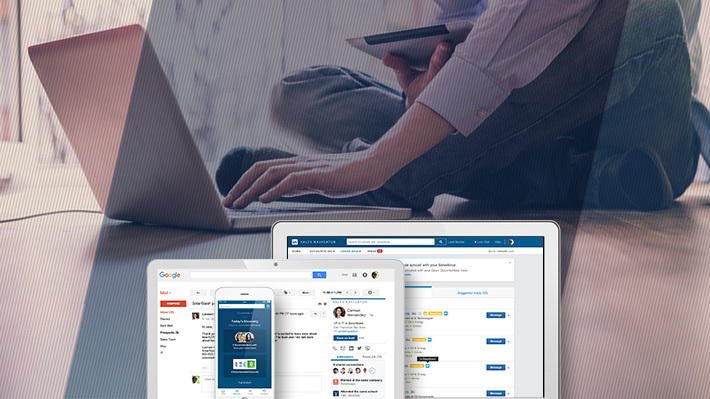 Making it easier for sales professionals to access and find the information they need faster. Great sales professionals rely on many tools to get their job done with the ultimate objective of getting closer to the customer, understanding their needs and building trusted relationships. "The move towards improved automation is critical for a business growing as quickly as Sprinklr. Keeping leads and accounts automatically updated helps our sales team stay productive and maintain relevant, positive relationships with prospects and accounts." 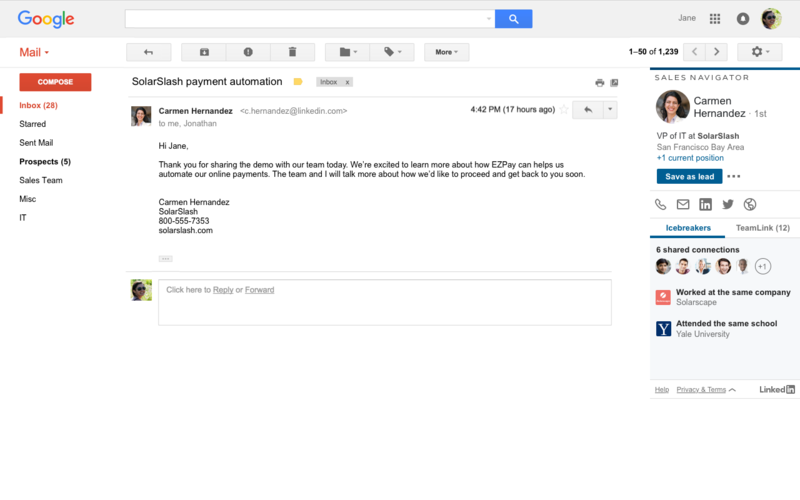 Sales Navigator is now integrated directly into Gmail. 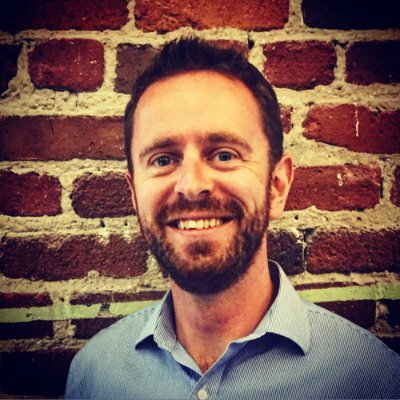 This new extension will allow users to engage with their Sales Navigator insights inside of the Gmail experience as they are communicating with their contacts. Users can access all LinkedIn public profile details and public social contact information and can easily save a contact as a lead in Sales Navigator without ever having to leave their inbox. 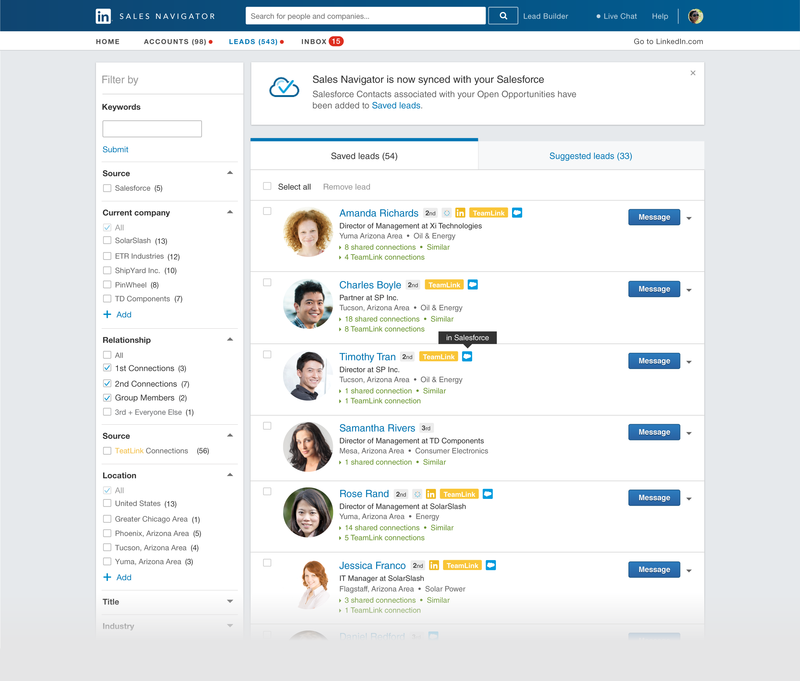 In addition, users can build rapport and find warm introductions by using the Icebreakers and TeamLink sections. Download the Sales Navigator for Gmail extension in the Google Chrome Web Store. With more than 25% of users solely using the Sales Navigator app on the go, it is crucial that the mobile experience be optimal. Today, we are introducing new Discovery features on our mobile apps that will make it even easier for our users to find new accounts and leads, wherever they are. On the new tab, users will be served daily lead and account recommendations based on their sales preferences. Up to ten recommendations will be sent per day where they will expire after 24 hours and refresh with new recommendations. Users can customize how and what they receive based on their needs. These features will be available on our Sales Navigator iOS app and Android app. 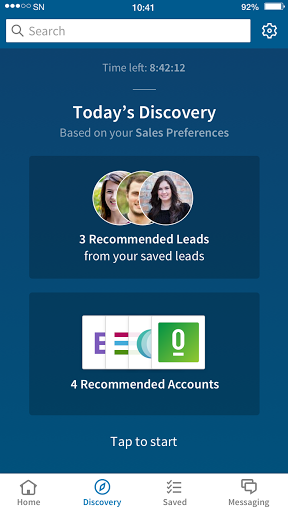 Our goal for Sales Navigator is to be an important part of the daily lives of sales professionals, and we believe these enhancements will get us that much closer. Ultimately, we want to help sales professionals build deeper relationships by working smarter, not harder, and this reinforces our commitment to make them more efficient and effective every day. When I joined LinkedIn, I was overwhelmed by the opportunity to help build a social selling platform on top of the LinkedIn experience. Our data science team has been hard at work analyzing all of the interactions that happen on LinkedIn today. We are already able to identify decision makers and the best path to them and have been surfacing these insights within Sales Navigator’s recommended leads and search results. With today’s added integrations into Gmail and Salesforce CRM, we are able to deliver even more insights to our users in more of the places they work. To learn more about these new features, visit our Sales Navigator page.